1. Clear out the paper clutter once and for all. No more batches of junk mail, unnecessary papers on my desk and old magazines that are no longer needed. 2. 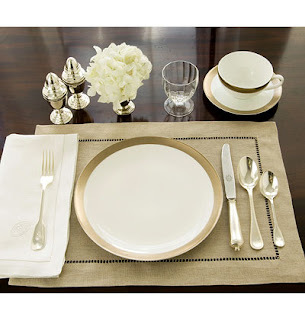 Have more dinners at the dining table, rather than in front of the television in the living room. 3. Finally find the right pillows for my bed--not too soft, not too firm. Neck and back pains be gone! 4. Maintain order in my closet. Isn't this an issue for many of us? 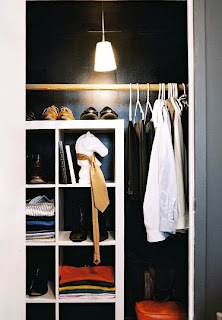 Clothes folded nicely, shoes exactly where they belong, no chaos on top of the dresser. 5. Experiment with more home fragrances. I love when you first enter a home just to be greeted by a delicious scent. I'm not big on potpourri, so I may have to resort to air diffusers of some sort. 6. Track down the side tables I've been seeking for my living room, preferably a set with with a gold tone and glass tops. 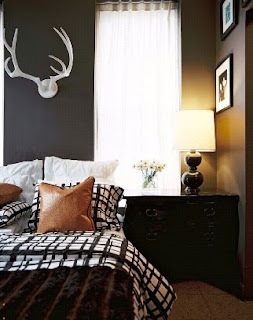 Sometimes it's just the small tweaks that are needed to change the feel of a room. 7. More outdoor meals on my little patio during the summer. It's such a waste to never take advantage of outdoor space, no matter how small it may be. 8. Figure out the plants that work best in my home. I can't tell you how many different plants I've purchased throughout the year only to have them wither away on me in a few months. Very tragic, I know. My living room could get a bit more light, but I'm still convinced that there's a plant out there that can thrive in my apartment. :) I just can't stand the thought of living without any greenery at home. 9. Wouldn't it be nice to finally use both of my tea sets instead of rotating the same old set of mugs throughout the year? I'm looking forward to many sit-downs with the paper, my favorite blend, biscuits and all. I'm relaxed just thinking about it. 10. Take another interior design class. It's always fun to learn more about a subject you love following. Hopefully you've gotten all your holiday shopping done already, but if you still need to grab a few items before the new year, consider these affordable options. Luxury at a great price. It doesn't get any better than this. I spotted this in December's In Style and just think it's the cutest thing ever. Perfect for a child's room. 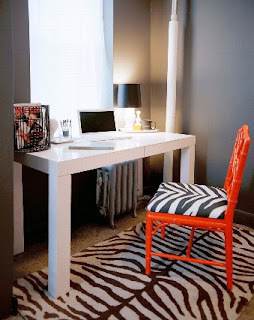 Most New Yorkers understand just how stressful it can be to make a small living space comfortable and stylish. That's why it's always refreshing to come across people who've figured out how to make their compact space the best it can possibly be. Take Anthony Gianacakos, a design consultant whose East Harlem apartment is featured in the December issue of Lonny. Everything about his design style screams maturity-how can you not love the dark gray paint against the white accessories and furniture? It's also nice to see great decorating work from a guy's perspective for a change. If I was asked to describe my decorating style, rustic would not be a word that comes to mind, although it's a style I appreciate. This got me thinking about farm tables for some reason and how much I adore seeing them as the foundation of a dining room. 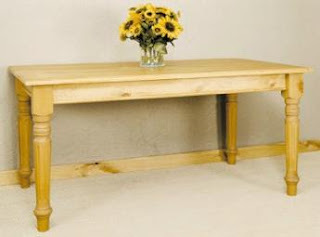 I especially like the rectangular-shaped tables because they work perfectly for seating a rather larger group. And they also have more of that cozy, country feel. I found this pretty version in a pine stain on Country Home. I just live for anything made by hand. 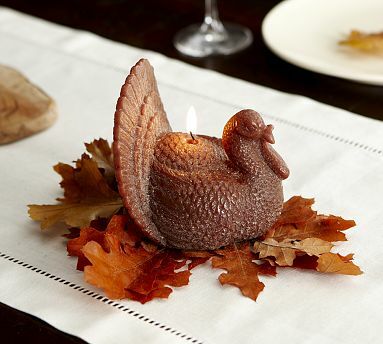 I just received my Pottery Barn catalog in the mail and I love their ideas for Thanksgiving. From cinnamon stick napkin rings to a candle in the shape of a turkey, they really do have it all. It's the little accessories that you incorporate into holiday table settings that make them special and memorable for guests. Oftentimes, many holiday get-togethers with family and friends involve board games. Checkers just happens to be one of my favorites. 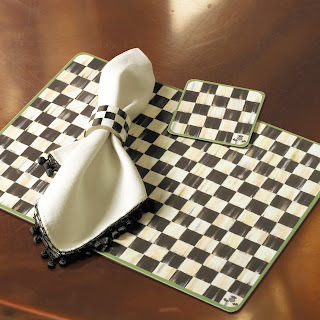 Try adding just a little more excitement and humor to your festivities this year by going with these black-and-white check pieces from MacKenzie-Childs. They're all painted by hand and are sure to be tons of fun for entertaining this holiday season--and even all year round. I had the chance to see an array of pieces from the company's line at a special holiday event at its flagship store in NYC last week. The check products don't disappoint at all. Happy shopping! I was thinking the other day about why the decor in my apartment works for me. It's not just because it's filled with family photos, treasures from vacations, pretty fabrics, and so on. 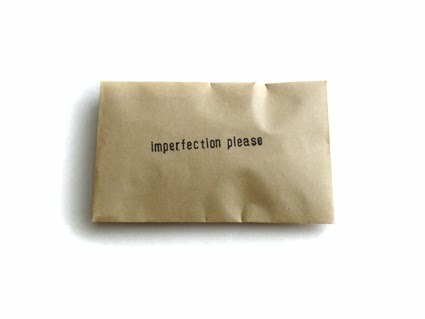 It's really because there's an element of imperfection at work. You know what I mean. The artwork over the sofa hung just a bit too high. 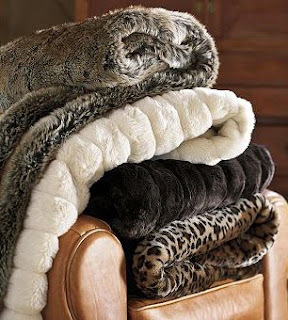 The rug that loses its cozy factor as each day passes. 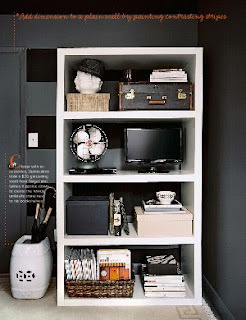 The stack of magazines in the corner. If this doesn't scream imperfection I don't know what does. Nevertheless, I love it all. It's what makes my home home. To me, there's no fun if everything matches to a T, is always in place, and really just seems like a showroom or space out of a well-designed furniture catalog. Your home should be a reflection of your personality, and let's admit it, no one is perfect. How pretty is this lamp? I snagged it a few weeks ago at yet another flea market adventure. I'm still trying to find the perfect shade for it, which shouldn't be too difficult at all. The brass base needs some polishing as well. But my goal is not to make it look brand new, as to take away from its antique feel. That would defeat the whole purpose of buying this in the first place. It's always sad when a magazine folds, but it's even more sad when it's a title with such a rich history. Hachette announced that it will no longer publish Metropolitan Home, a magazine adored by lovers of modern design. The publication began as Apartment Ideas in 1969. In 1971, the title was changed to Apartment Life before being renamed Metropolitan Home in 1981. The December issue will be its very last. With domino gone, it seems like I've been doing more digging to find really good home decor features to read. 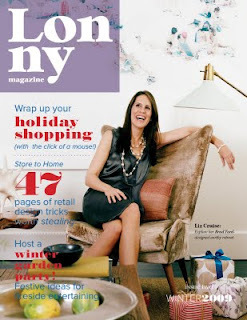 The one place I often turn to is In Style's "Life, etc." section which showcases celebrities' homes. Stylish places owned by everyone from Jessica Alba to Vanessa Williams have been featured. Check out a selection of images from some of my favorites. Amy Smart describes the decor of her home as "Cape Cod meets Hollywood bungalow." Vanessa Williams in her Hollywood Hills home. Alicia Silverstone in her eco-friendly house. I love the studs lining the chair! Tommy Hilfiger's Connecticut home. Now this is what you call cozy. 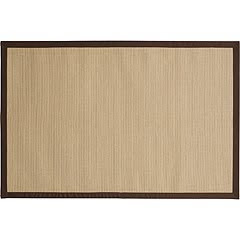 The chocolate border is a nice accent to the natural color and jute is known for being durable. 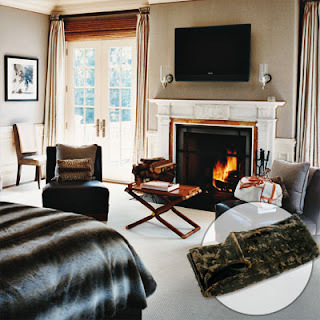 ABC Carpet and Home Shag Rug ($449). 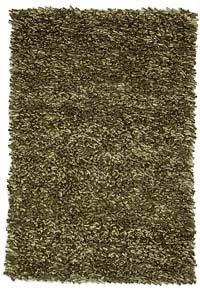 I always tend to stay away from super dark hues when it comes to rugs, but this shag rug would make me do away with my policy. The olive shade is warm and the best part--it will do wonders masking stains. 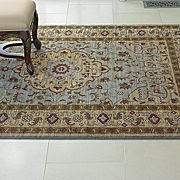 Chris Madden Artisan Rug ($49.99-$419.99, JCPenney). This floral print is also available in dark red and comes in a few different shapes. 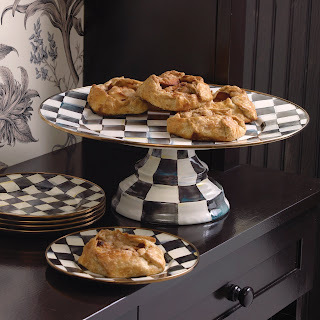 It's elegant and although the design is intricate, it won't takeover a room. 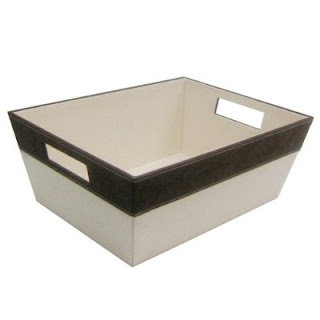 See Jane Work Basics File Box ($20). 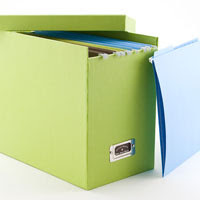 The lime-green fabric would look great in just about any office, and it's the perfect size for hanging folders. Target's Tapered Canvas Bin with Suede Trim ($12.99). I would use something like this to keep my mail all in one place. Stylish and easy to access. It's not available online, so you'll have to make the trip to the store to purchase. 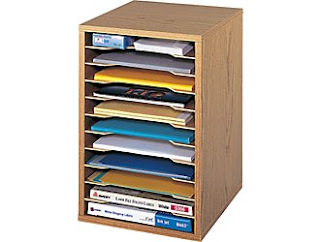 Safco Wood Vertical Sorter ($54.99, Staples). This could work really well on a desk that's of a good size. It would be easy to see exactly what's filed in all the compartments and the wood finish is a nice touch. 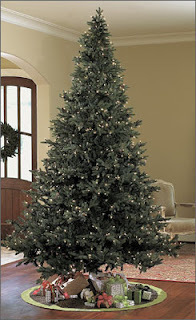 Although decorating your home can be an enjoyable experience, just figuring out where to begin can be frustrating. 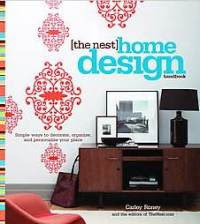 Random House was kind enough to send me a copy of Carley Roney's The Nest Home Design Handbook, which offers a slew of useful tips that can help you get started. 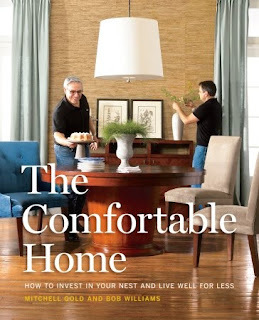 The book goes through the basics on everything from putting your living room together (i.e. deciding on seating, configuration of furniture, art, displays, paint color) to figuring out style choices for the kitchen and dining room. Coupled with the practical advice are photos and diagrams that illustrate the points discussed. I've never understood the point of owning stuffy furniture people would be afraid to use. 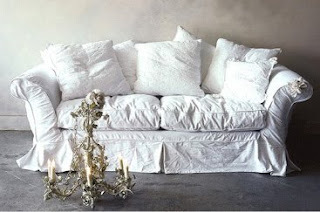 That's why I adore the Shabby Chic sofa by Rachell Ashwell. It's simple and looks like it's extremely comfortable. 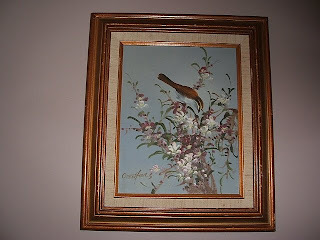 It even seems a bit worn, which can add a sense of character to a living room. The New York Times covered Ashwell's Shabby Chic style last week (read it here), and she just opened the Rachel Ashwell Shabby Chic Couture store in New York. I definitely have to pay a visit. Ever since Domino, which I miss dearly, began featuring its then-contributor Rita Konig's apartment, I've been a fan of the design expert. Konig currently writes for the design section of The Moment, a blog on NYTimes.com, and her posts are always jam-packed with useful tips on home decor or just simple insights into the items she loves or what she's doing with her own place. I'm a little embarrassed to admit that I had no idea Konig is an author and was so delighted to come across her 2002 book, Domestic Bliss: Simple Ways to Add Style to Your Life. My favorite chapters are "The Details" and "Domestic Chores." 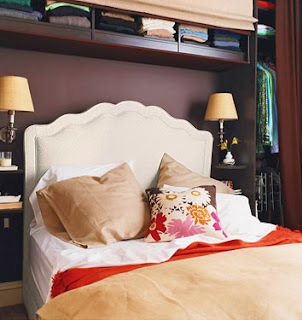 If you can get down how to pay attention to the small elements in your home that can make it more inviting, and then figure out a not-so-painful routine for keeping the place tidy, you're in really good shape. Domestic Bliss is a must-read, but these two chapters in particular really hit home for me. I promised to share some more fun tidbits from my recent trip to India. During a stop at a beautiful fabric store in Jaipur, I spotted this gorgeous, purple brocade pillow cover with gold threadwork. It works so well in my place and I'm actually a bit sad that I didn't buy one or two more to keep. But all I can do is treasure this one while it lasts. I've been moving this pillow from room to room for the past few weeks. My favorite places for it are my bed and sofa. Part of the reason I appreciate the design so much is because of the significant amount of time I'm sure it took to produce. There's always beauty in hard work. Here are a few things that I'm loving at the moment. 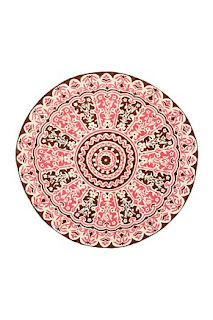 Anthropologie's Light Wheel Rug. 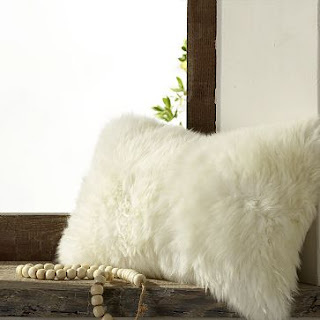 I'm a huge fan of Anthropologie's home pieces. I've purchased everything from pillows to curtains. Sometimes I have to stop myself from buying their stuff so my place doesn't end up looking like their showroom. This rug doesn't help the problem at all. 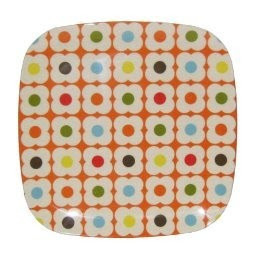 The colors can add just the right amount of pop to any room. 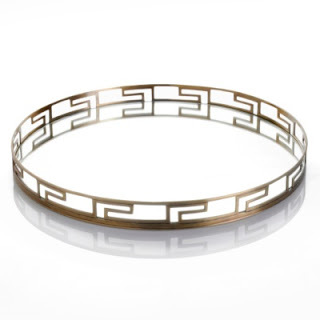 There's also something striking about the round shape, rather than the standard rectangle or square. 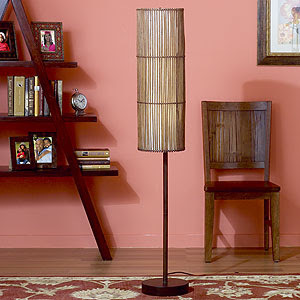 World Market's Tiki Floor Lamp. This lampshade is made of rice paper and bamboo sticks. 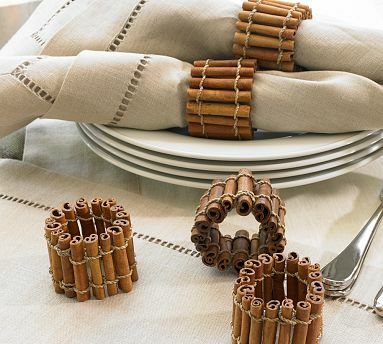 It has an earthy, organic feel and could really work with any color scheme. The simplicity of it makes it attractive. 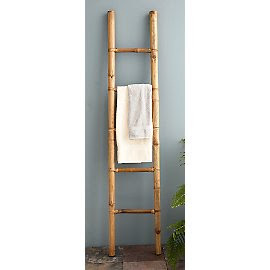 Gaiam's Bamboo Bath Ladder. This ladder wouldn't just give your bath area a spa vibe, it can be put to work. 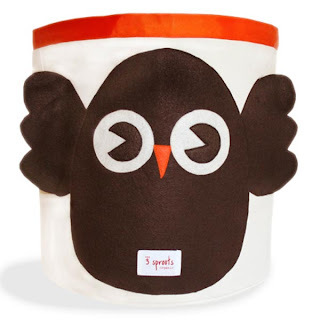 Gaiam suggests using it to hold towels or magazines (for those drawn to the idea of reading in the bathroom). As it is officially fall, I'm thinking of ways to rework my living room to fit the season. I'm all about the instant makeover, so whatever I take on must be super easy as well as affordable. What comes to mind is a cozy throw to play off my chocolate brown sofas (love the Pottery Barn ones above), a couple new pillows in burnt orange, and possibly the new wood blinds I've been been promising myself for the longest. On my way to Bubby's Brooklyn restaurant for brunch this past weekend, I spotted this yellow stand at a yard sale. It was in pretty bad shape with its chipped paint and rusty areas, but I just knew it had potential. And for just $8, I had to have it. 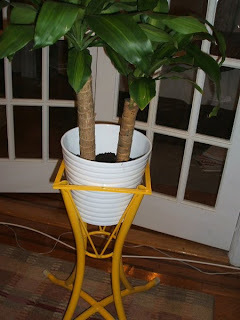 I cleaned it up with a can of yellow spray paint and have decided to use it as a plant stand. The old rubber covering the bottom of the legs all need to be replaced, but it does the job for now. I put it by the front door of my apartment and it's been a pleasure being greeted with the cheery color over the past few days. Most soaps dry out my hands. This one is super gentle and the light smell of lavender is a nice treat. It has the most beautiful scent. I feel like I'm on vacation whenever it's lit. I have them in every size throughout my apartment. There's one in my bedroom closet, which I use to hold accessories. Another under my bathroom shelf for cosmetics. One under the kitchen sink. You get the picture. I live by these. I picked up the October issue of Glamour (needed a good read for the subway ride home from work) and I came across the most clever organizing idea. There's a short feature (pages 307-310) on how Nate Berkus helped his younger sister spruce up her NYC apartment. To get her bag collection in order, he uses magazine files. How genius! I'm constantly battling with the bags overflowing in my own closet, so thanks for the tip, Nate. 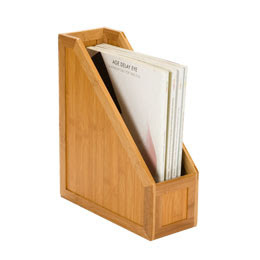 * I especially like this Bamboo magazine file from the Container Store, although it's a bit pricey ($19.99) for something that's going to be stuffed in your closet. 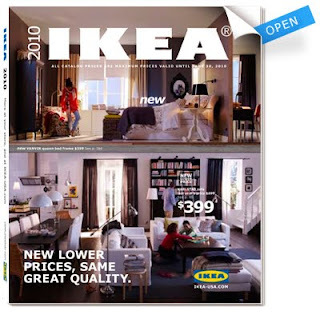 Ikea's latest and greatest catalog hit mailboxes everywhere and fans of the Swedish chain are just a bit ticked off at--of all things--the typeface used throughout the pages. In an effort to mix up the design, Ikea switched from its usual Futura typeface to Verdana. Is it just me that thinks this isn't a major deal at all? It's one thing if the product the company offered changed for the worse, but a simple typeface? As long as the type is readable and works well with the rest of the design elements used in the catalog, it's a-OK with me. What really matters is the beautiful furniture the chain turns out time and time again at those fab prices. Don't you agree? 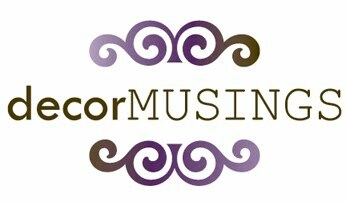 This has been long overdue, but I've finally launched Decor Musings to express my passion for all things interior design. Come along with me for the ride as I highlight my favorite home products, rooms, magazine articles and more.